Technologies enabling real-time exchange of data bring new possibilities to what mobile applications can do. We are a generation obsessed with mobile gadgets and invest majority of our screen time interacting with apps on it. Some of your favorite applications such as instant messaging, online games, maps, and live video streaming dominate the world of app stores and the internet in terms of driving traffic. In addition, several apps need to exchange data with application server in real-time to enable certain features. For example, on-demand taxi and delivery apps need real-time features to enable their users to track their cab and orders in real-life. Tens of thousands of app on the app stores run some instance of real-time data exchange to run an app feature. Real-time features have a significant importance in mobile apps. To understand the significance in different types of apps; let’s explore what sort of real-time features they can enable in a mobile app and benefits they will bring. Communication technology officially entered into an era of real-time communication with the invention of Telephone at Bell Labs. The introduction cellular phones brought us SMS and the internet brought us instant messengers (IMs) and voice calling. Capabilities communication apps of today bring would put even the most sophisticated communication device of yesteryears to shame. Today’s instant messaging apps such as WhatsApp and Facebook Messenger have every feature you need to communicate with someone. For starters, there is support for texting and multimedia messaging. Then there is location and document sharing in a conversational interface and of course, internet voice and video calling. However, real-time communication has moved from being communication-centered apps only feature to a number of apps falling into diverse industries for example healthcare and on-demand delivery. Around 80% of serious medical errors happen because of lack of communication between the caregivers and patients at the time of patient transfer, Joint Commission Center for Transforming Healthcare predicts. Likewise, American International Group pinpoints poor culture, absence of collaboration; and lack of communication as the reasons putting patient well-being in hospital at stake. 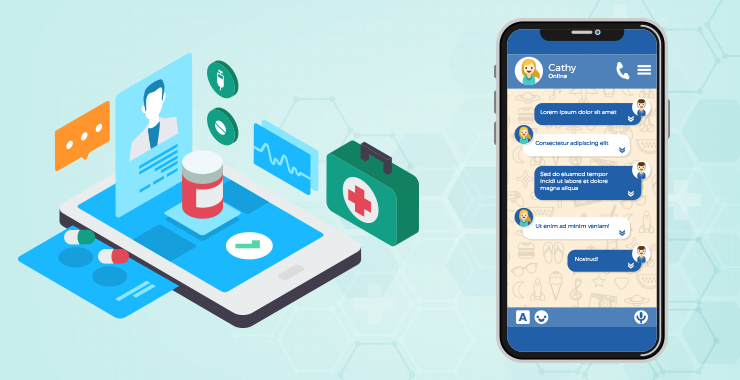 By bringing the caregivers and patients on same app platform and connecting them over an integrated real-time communication channel, healthcare institutes and private practitioners can solve the gap between them and solve a fundamental problem engulfing healthcare industry. On-demand apps have real-time messaging inbuilt to enable passengers communicate with the drivers in real-time and vice-a-versa. They can learn about each other’s whereabouts, talk about a delays if any, which vehicle they are carrying, etc. Active communication between the driver and passenger will avert disagreement and makes the flow of on-demand devices resourceful and welcoming. Similar to on-demand delivery apps, in eCommerce apps, real-time messaging allows seamless flow of information, concerns and support from seller to buyer, which will avert third parties from taking cuts on every purchase and increase sellers’ profits per sale. With many workers opting to work from remote locations, employers are heavily invested into collaboration apps. Collaboration apps are the basis for virtual workspaces, where workers working on the same project can collaborate regardless of their location on a single workspace. Employers can grant access to multiple workspaces if the worker is involved in multiple projects simultaneously. The workspaces can be configured to allow continuous collaboration between employers and freelancers too. Multi-party collaboration features are a commonplace in various category of mobile apps. With so many workplaces implementing BYOD policies, enterprise mobility has expanded over the years. One of the most important aspects of an enterprise mobility solution is to allow seamless collaboration between the employees while adhering to BYOD policies in place. They need to create workspaces to allow real-time collaboration between employees and freelancers. However, freelancers aren’t bounded by BYOD policies while employees are. This creates quite a dilemma. If a freelancer deliberately or unconsciously breaks the policies, this will put the integrity of the whole environment in jeopardy in front of its employees and make them feel alienated. Therefore, building workspaces in your enterprise mobility solution, which is already under the purview of BYOD policies, will put collaboration among freelancers and employees in the right direction. Many startups even enterprises rely on the pool of freelancers available from various marketplaces when they need additional resources at the earliest. While these marketplaces offer the greatest pool of talent, finding a freelancer perfect for the project at a reasonable rate isn’t simple at all. Freelancers tend to work on multiple projects at a time and often have too much on their plate. They may commit working 20 hours a week but may end up doing 9 hours in the week, which might put your project behind the deadline. A real-time collaboration window between freelancers and customers will make way for transparency; wherein the customer can monitor the progress of the project and the hours logged. The customer can also leave a comment if he doesn’t like a module in the software system while the developer is writing test cases. So that the developer can make the changes at the very instant rather than making changes after he has merged the code to the main repository. Developers will also feel motivated if the customer is invested so much in the project. Smartphones have inbuilt location features which an app or service can share with someone you want over the internet. Operators in any variant of logistics operations such as food delivery, shipping, eCommerce, taxi hailing, etc. need to keep a tab on their assets, humans or things. For example, when you order food from a food delivery app, you want to learn how far the order has reached. The same goes for when you request an Uber. When you order pizza on Dominoes or a cab on Uber, you tend to learn how far the driver or pizza boy is from your place; if they are on the wrong lane, stuck in a traffic jam. The app needs your location to give you estimated time of arrival and drop-off location to the customer. Location tracking allows the whole model around on-demand delivery to work together. Live tracking allows operators at shipping companies to track their assets in real-time on an ever-accessible web application. Mobile apps can call the same API to act as a location-tracking device. Transportation companies need to track not just a couple of drivers but their entire fleet, which may be scattered across the globe. 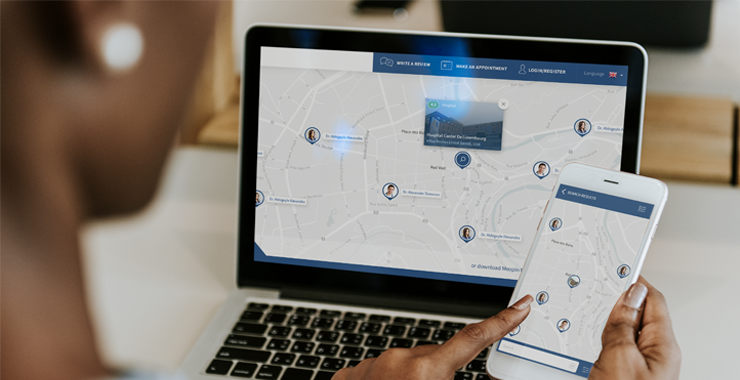 In addition, on-demand operators and underlying software need to know location of its drivers and customers to bring the connection and allow for seamless passing of location information between the two. Businesses and individuals love live streaming apps alike. In numerous business sectors from media to logistics and entertainment to real estate, live data streaming apps have allowed business to bring the action closer to their customers. The ability of such apps to simultaneously capture, process, and transmit data to millions of other users brings many benefits. 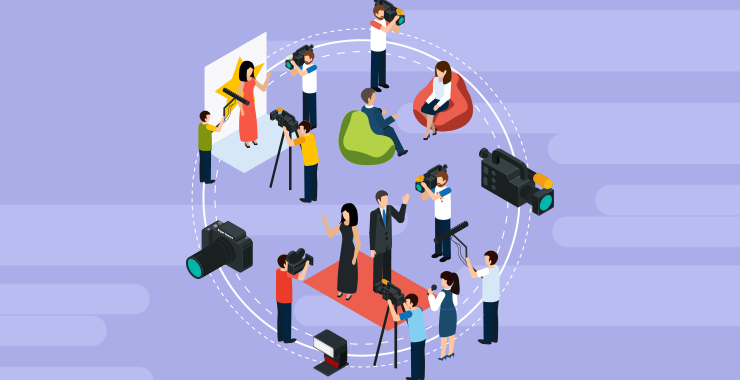 Live data streaming is the precursor to livestream, which lets social media influencers to stream their favorite product, gamers the latest game, business their live event and much more from a social media app integrated with livestream option. Video streaming is a crucial feature to include while developing social media apps. Twitter acquired Periscope because it brought the concept of live video streaming mainstream. Three of the most popular mobile apps: Facebook, YouTube, and Instagram all have live streaming feature built-in. Facebook Live is garnering four times the viewers for its live feeds it was garnering a year ago. Commodity and stock markets are always changing. People trading on them need the most up-to-date information to make buying and selling decision. Trading in 21st century revolves around computer screens rather than phones or shouting in Wall Street to buy and sell securities. Today, a large number of people rely on their phones to get a glimpse of the stock market, indices and how’s the security they are invested in doing. Trading platforms have grew in number with so many people looking at stock market to make quick bucks and a lot of them are bringing trading to intimate device we have—our smartphone. Real-time data exchange allows apps to display up-to-date stock prices, making them excellent platforms to run trading apps. Also, a real-time messaging feature will facilitate communication between broker and trader. The major reason to run real-time notifications is to generate a sense of urgency among the customers. Every sort of mobile apps employ push notification in a unique way. 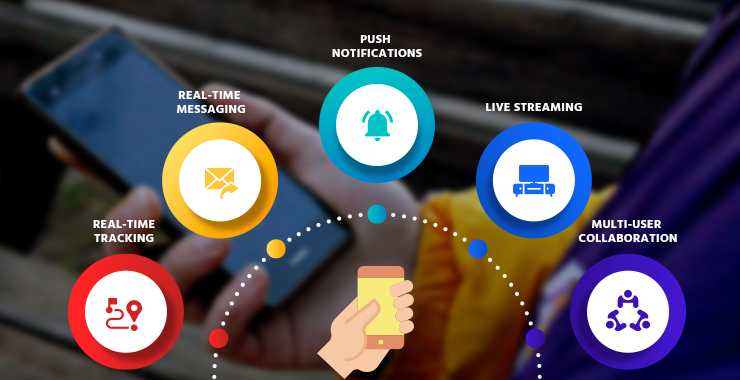 Real-time notifications are major reasons for the success mobile as a platform of marketing. However, a few apps are employing push notification to trigger user actions. In addition, real-time notifications pay crucial part in the functioning of an on-demand app. In fact, on-demand apps can work without the provision of live notifications. Push notifications play an active part to alert the driver whenever a passenger requests a cab. The nearest driver receives the ride request in as a real-time notification with the option to accept or decline the offer. eCommerce apps rely too much on push notifications for everything from notifying their customer of their order dispatch or a flash sales. Real-time notification helps delivery persons to arrive at the pick-up location on time and therefore; a number of eCommerce apps employ push notification as a tool to boost their sales number. Online marketplaces tend classify their users as per their purchase behavior. A frequent buyer will fall in a smaller bucket than a high-value buyer but larger than one-time buyer. They target them with live notifications by throwing marketing offers according to their bucket size and past purchases. For example, you are most likely to hear from the eCommerce app installed in your phone when JRR Martin will release Winds of Winter. eCommerce marketplaces are infamous for reducing brand value by offering premium brands at dirt-cheap rate. Customers don’t mind discounts and if you think the discounted price will entice them, what is the harm in throwing them the offer in a real-time push notification. The click might lead to conversion.